British Columbia rider Brett Rheeder nailed down his first ever Rampage win in Virgin, Utah on Friday, October 26, 2018. 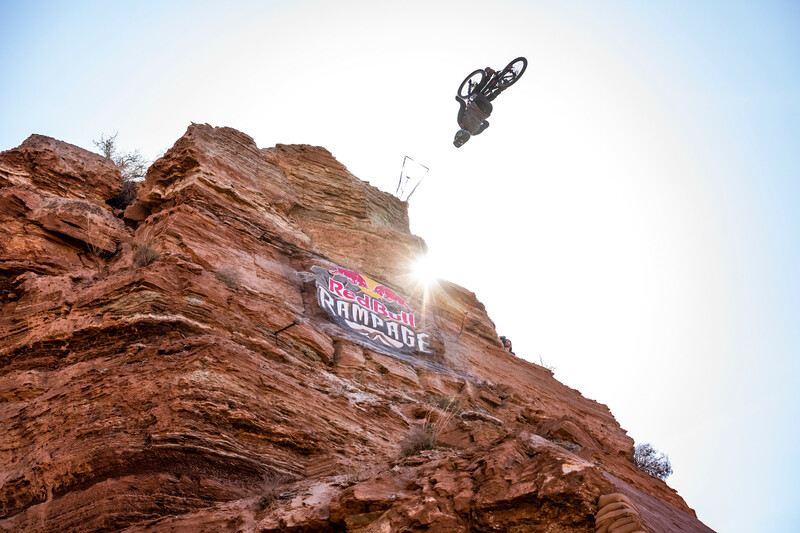 Rheeder went fourth to last in the first wave of competitors at Rampage, which totaled 18 this year. Rheeder dropped into his line with a 360, followed by steep drops, massive step-downs, a back flip over a drop, another 360, and closed with another backflip with a one-footed can can variation. Rheeder knew he had pulled off an impressive line at the bottom. In his post-run interview, he had three more people ahead of him and everyone still had another run to go for it. The first half of the competitors all struggled with cleaning their entire lines on their first attempts. On the second, things cleaned up a little, riders forgave tricks for a clean run down the mountain, but things heated up toward the end. 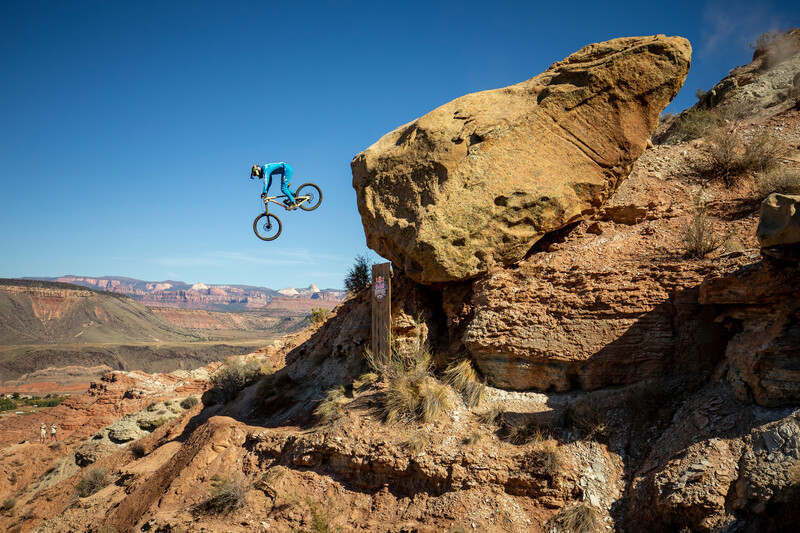 Ethan Nell, who grew up just outside of the Rampage venue, solidified a third-place win. 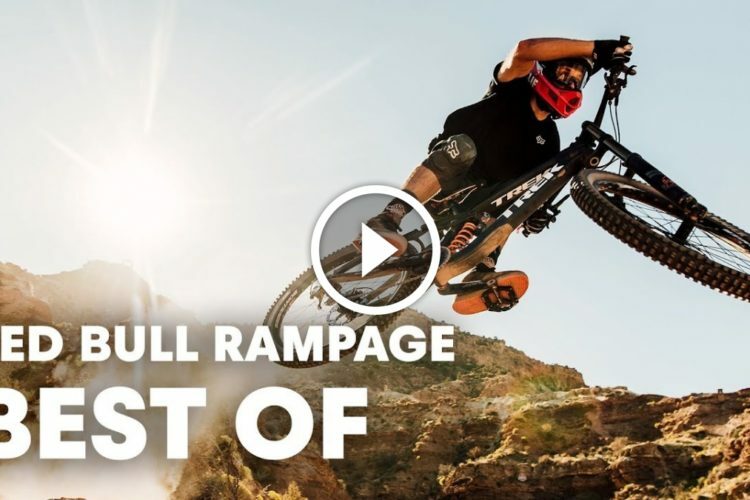 Andreu Lacondeguy was sitting in second place after his first attempt and dropped in on his final run with one of the most impressive Rampage runs to date. Rheeder waited at the top in anticipation. If Lacondeguy were to beat his run, he would’ve needed to make another attempt. Lacondeguy combined speed with style and tricks, and it looked like toward the bottom he could have beat Rheeder’s score. But Lacondeguy lost control on a backflip over a jump near the bottom. He still held onto his second place victory from his first attempt. “Oh, I’ll be back next year. I want to win this,” he said. 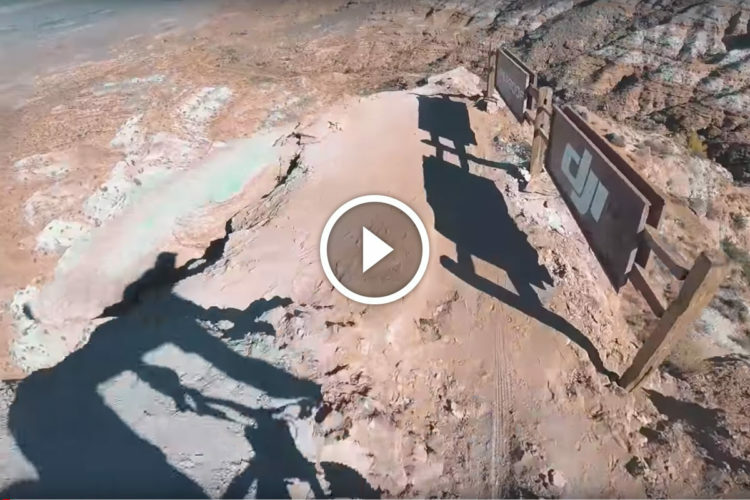 The venue for Red Bull Rampage is brand new this year and it was apparent that riders struggled with the new dirt. The new mountain was 150-feet taller than the previous, and there weren’t any reference points from before for the riders to use to gauge speed and distance. The first wave of runs was full of crashes and sketchy landings. Symon Godziek, Vincent Tupin, DJ Brandt, Adolf Silva, Brandon Semenuk, Tyler McCaul, and Carson Storch all crashed on their first runs. Brandt didn’t take his second attempt. Silva and McCaul landed clean second attempts, and Semenuk and Storch, both Rampage veterans and favorites, crashed in their second runs, again. 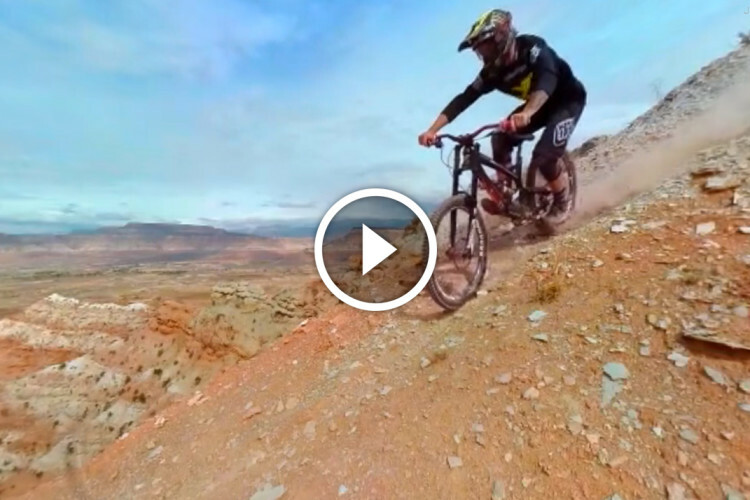 Storch interviewed with Singletracks ahead of Rampage. Read it here. Free ride veteran Jordie Lunn, who had been struggling with illness this week, stopped mid-way in his first line before a steep drop down a chute and decided to walk it down. He opened his run with flair and a cork-720 spin on a hip, but lost his rhythm after getting off-line. Brendan Fairclough laid down one of the most unique, and raw runs down the mountain on his first attempt and became a fan favorite, but the judges weren’t impressed. Fairclough was awarded a 67.66/100 and looked visibly upset afterwards. “I’m super disappointed with my result, but happy with my run,” he told Red Bull TV. Fairclough used a gigantic boulder, dubbed ‘the Rock’ to ride up and drop off. Fairclough was the second person ahead of 16 other riders. 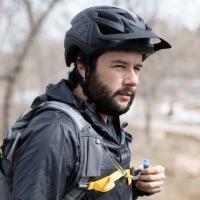 He chose not to participate in a finals run, possibly due to feeling misjudged, but helped other riders up from crashes on their runs afterwards. After the event finished, Fairclough was awarded the McGazza spirit award, an award that honors the late free rider Kelly McGarry. “Hey, that dude’s an absolute legend. It’s a nice thing to have,” said Fairclough. First time rider Adolf Silva snagged the People’s Choice award. Silva went down hard in his first run after slipping a pedal on a superman seat grab attempt, but got up immediately and was still full of energy. He came back for a clean second run, landed no-handers over drops, a backflip, and got a 64.33. 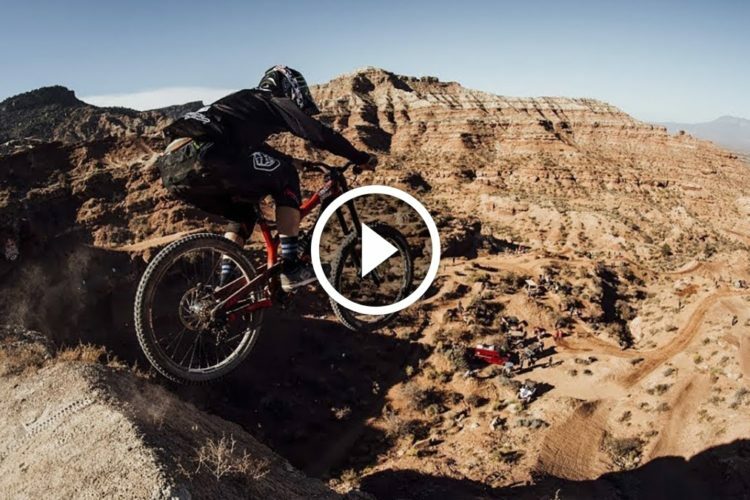 Tom Van Steenbergen got the Best Trick award for a flat drop backflip off of a huge drop. 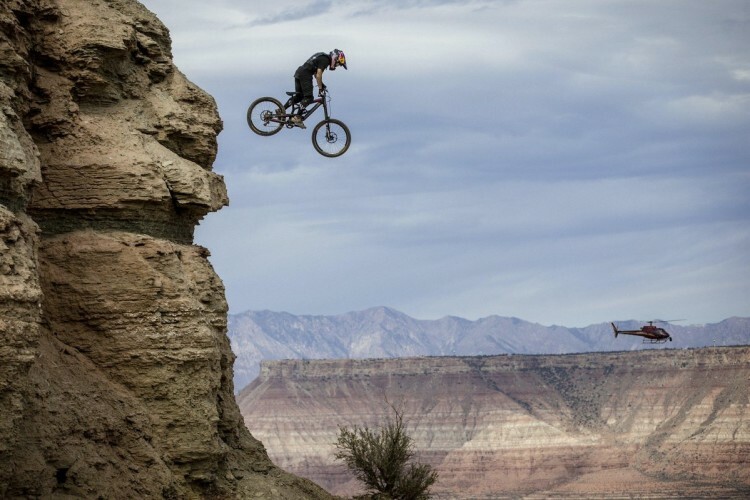 Tom Van Steenbergen and his ‘Best Trick.’ Garth Milan / Red Bull Content Pool. 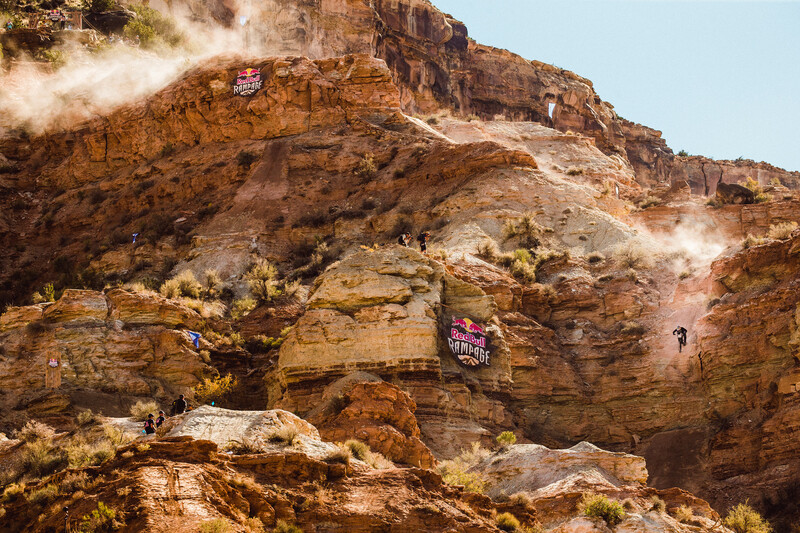 “It was like looping out on a manual on a 55-foot drop,” Steenbergen said on Red Bull TV. He finished 4th overall. 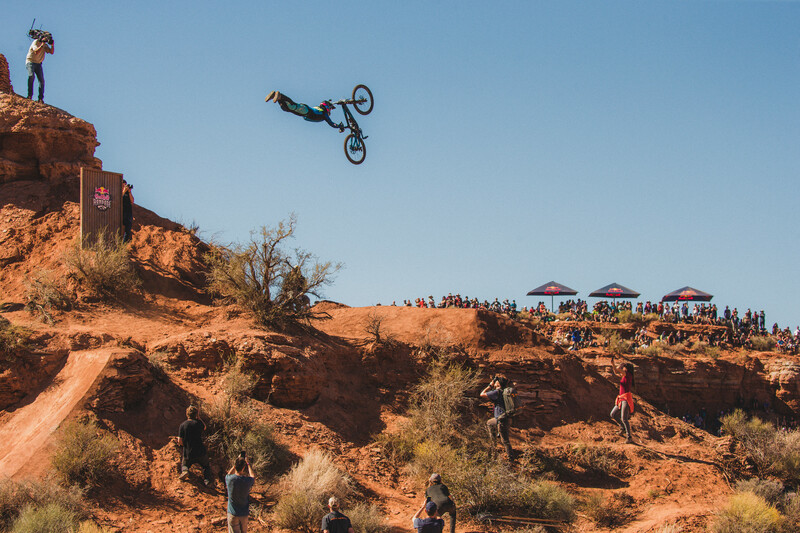 Red Bull Rampage has struggled with its identity over the past five years. 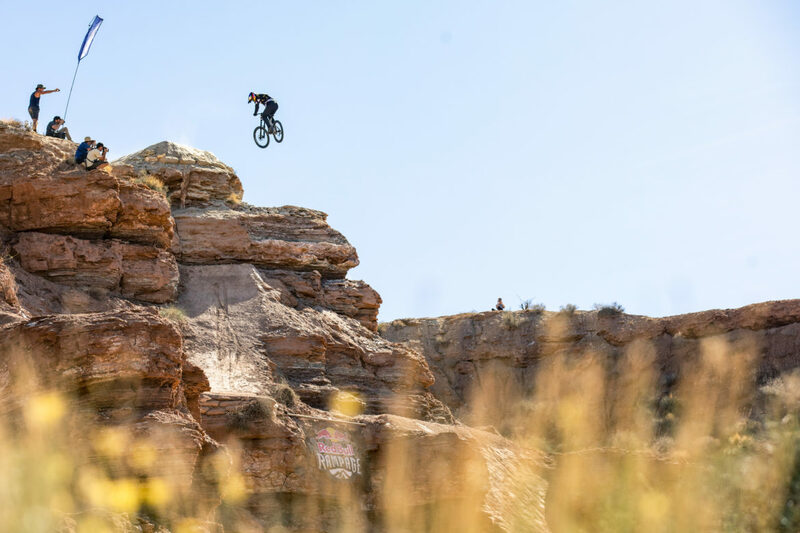 What started as a gnarly, raw competition to get down rugged Utah mountains turned into a short stint of a slopestyle competition on the same mountains, defying the contest’s origins and provoking a conversation on what the contest is supposed to be. 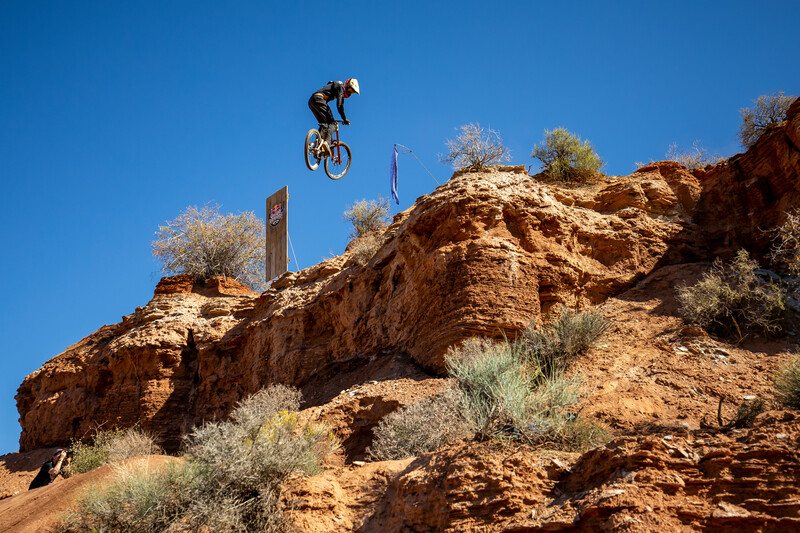 This year, riders dialed down their tricks to adjust to the new venue and it was as close to Rampage’s beginnings as it has been in a long time. But, the judges still favored riders who combined slopestyle tricks with unsettling steep descents. It seems as if the judges may have to adjust to the new venue also. 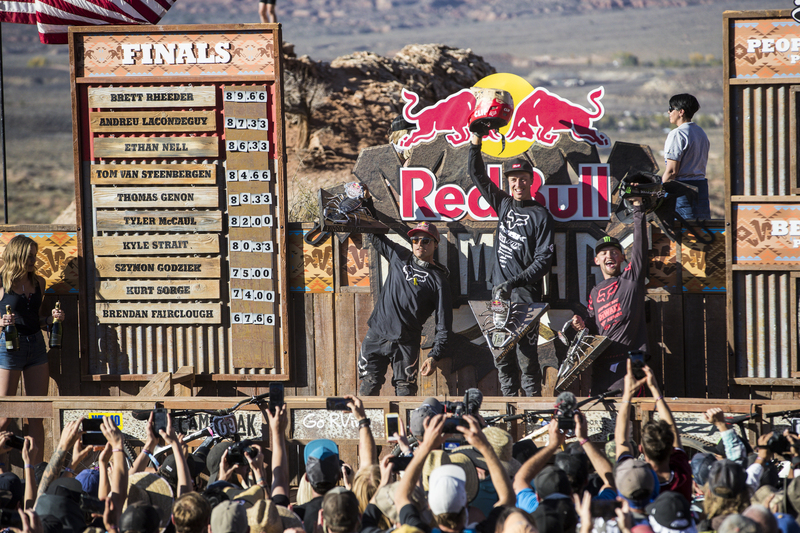 Watch the recap on Red Bull TV. 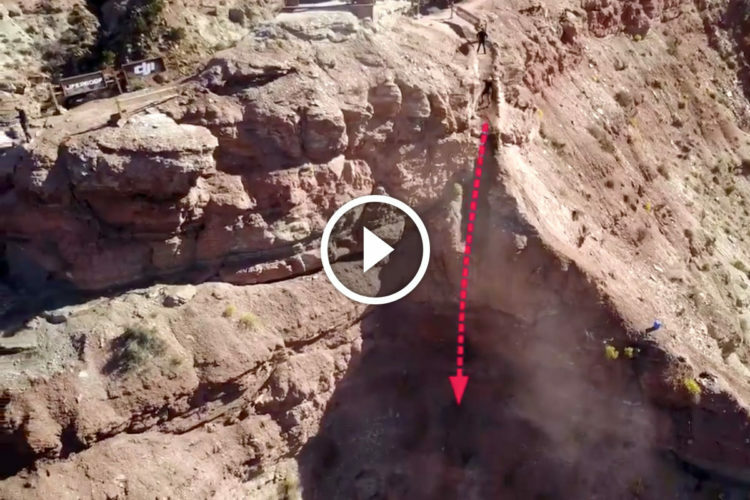 Watch: Is this the Steepest Rampage Line of All Time?! I think I like previous spot better than this one. Why did they move Rampage to the new Hill? Good question. I believe the new one is on private land and the previous may have been BLM. The new venue is way bigger and allows for a lot more creativity and line choice, probably good for years to come. I think the previous spot kind of petered out. Last year the majority of riders had really successful runs, this year the majority crashed. I think the next few years will be a good re-calibration for Rampage. I guess change is good.